Linde Werdelin watches combine analogue and digital technologies to create watches for exploring the heights of mountains and the depths of the sea. 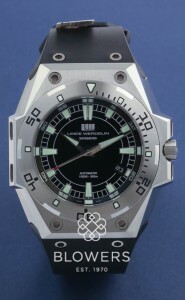 Founded in 2002 by Danish designers Morten Linde and Jorn Werdelin, Linde Werdelin emphasise both utility and function. Popular collections include the Spido, Oktopus, and Classic. The brand was born out of a life-threatening event that saw Jorn Werdelin, a mountaineer and off-piste skier breaking his back in the Swiss Alps, after getting caught in an unexpected bout of bad weather in the winter of 1996. Werdelin and Linde joined forces to develop a sports watch that provided the right level of information at the right time for skiers and divers. 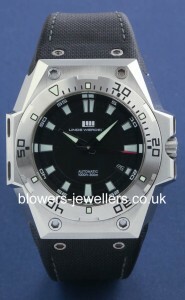 Browse our current stock of Linde Werdelin watches below. Looking for a specific model? 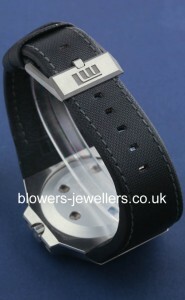 Get in touch, and we will endeavour to source it for you.